Bonobo has without a doubt been my favorite downtempo/trip hop artist for the past few years. He has not had an album release that I did not like and his recently released The North Borders is no exception. I'm not sure why, but I've always very deeply connected with Bonobo's music. It is something I can listen to at almost any time but I usually go to it when I need to relax and chill out a bit. Other people must really enjoy his stuff too because I hear him everywhere. I hear snippets of his tracks on NPR, at conferences, on TV ads, at yoga class, and much more. 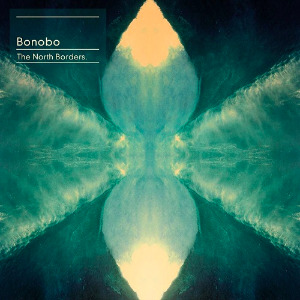 The North Borders is classic Bonobo; exotic strings and synths that give the feeling of being in some far away land. Add some soothing bass, cleverly arranged drums, and some tight vocal samples on a few tracks and you have a recipe for yet another great album from a guy who's been rocking this way since 1999. Info on his upcoming US tour has been out for a while and I highly recommend you hit up a show if you can. While he is known for his DJ sets, I really got into him after seeing his act with a live band. In my opinion it is magical to see these tunes played out by a full band which he hasn't done in over a year. I'm pumped, and Bonobo himself is excited for it too. Getting proper excited about this tour now. Been over a year since doing the live band thing. As you might have guessed, I highly recommend this album. Currently, it stands as my best of 2013.